The team are supa accomodating and very friendly, we had a great stay. Well, it was just a simple room and that was ok. We we're only at the room during the night so that was ok. Bed a little bit small but we managed. We arrived at the 19th of July and they couldn't find our reservation. Apparrently I made the reservation for the 19th of Septembre. Kinda stupid of me but the changed the booking so that was a good service. Nice staff also. A nice and comfortable place to stay. The Aparthotel was generally very friendly, however, I found that once a week only for cleaning and change of bedding wasn't really enough, also, I left some breakfast dishes on my cleaning day and they were still there when I returned in the evening, this was made worse by the fact that the cleaners made no attempt to clean any of the kitchen area. Additionally when the room was cleaned during my first week I was left with just one towel, and despite a request to be sent another towel this did not materialise. The room is standard. Good for transit. The wall is too thin, I couldn't sleep because of the noise from room next door. Their children screamed and run, it was so annoying. It's a transit hotel, the rules should be strict. Nice basic studio, clean and good location. Need to install cool air conditioning especially in summer. Room is OK and clean. Kitchen need a kettle to boil water and the coffee machine in kitchen is useless and occupying unnecessary space. A washing machine inside the room will be good especially it's a studio apartment hotel. Overall good experience but can be further improved. The apartment was very hot, too hot .... It was sold as air conditioned but it was clearly not available ..... Very disappointing ...... Slept badly. The operation of the microwave was a mystery ..... A manual would help. A kettle for boiling water should be provided as is normal in other accor hotels as are some complimentary coffee, yes bags and milk. When travelling I got carry ground coffee and filters. A very disappointing stay .... First and last overall poor value for money. For budget Hotel overall all amenities is complete, the room is clean and tidy but the toilet is lack of maintenance. The WiFi is terrible in evening where many user use it. The staffs are nice, but some of them just don't greet, in eastern culture a greet means a lot. Clean and comfortable room, with a comfortable bed. Nice and quiet at night. Friendly and helpful staff. Useful kitchen area. Handy, secure car park. My only niggle is that there was only one English language TV channel - CCTN from China! Why not BBC World, CBN etc? I stayed 4 weeks in Adagio, le Havre. I was very pleased. The staff is amazing, welcoming and makes us feel like home. At the end of each month, a potluck is organized by the hotel. It is the opportunity to interact more with the other long time inhabitants and friendly staff. I strongly recommend to attend. The hotel is clean and well located. It is just 2 min walk from the docks and 7 min from the train station. 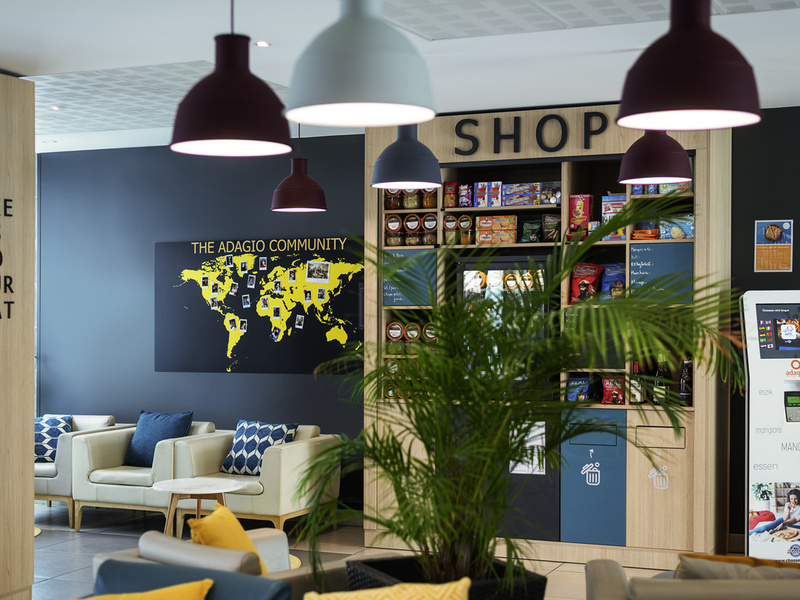 If you stay in Le Havre for a few days or few months, I will recommend you staying in Adagio.